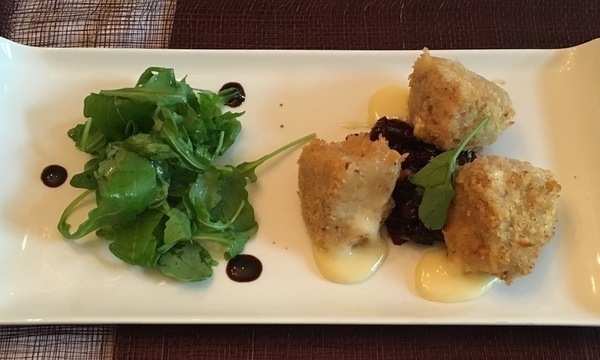 Walnut coated camembert deep fried with a beetroot, orange and cranberry chutney. 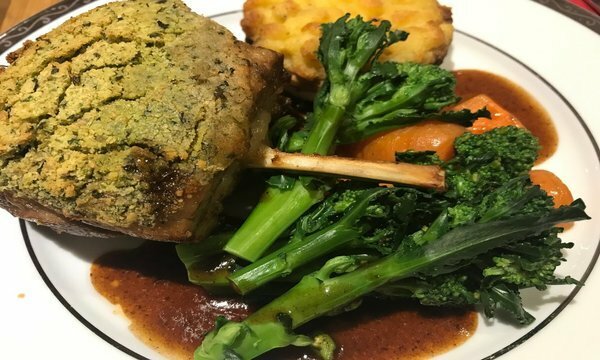 Herb crusted Best End of lamb, a confit of lamb shepherd’s pie, carrots, sugar snap peas and a rosemary pan gravy. 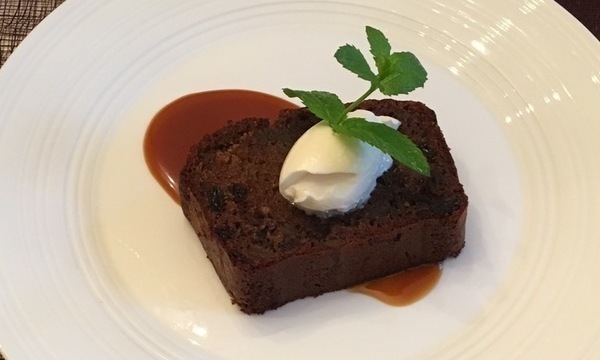 Date and ginger sticky pudding, mascarpone and toffee sauce. Wonderful 3 course meal! Nigel presented each dish very well. The lamb for the main was beautiful, and you should have red wines ready for this! Excellent. Great food and superb service. Will use this service regularly. Wow! Nigel's Lamb was superb! Beautifully presented, excellent and delicious. One of the most experienced chef in London in our kitchen is an ultimate luxury yet so affordable. Nigel's menu was very balanced and tasteful. And beautiful presentation! His gorgeous lamb was especially, highly recommended! He is a very talented chef. Nigel did a fantastic job ! The lamb was nice and I loved the dessert,too. All you need is a bottle of wine. Don't need to do any preparation and washing up after the dinner. I like the idea of "Restaurant quality at home" !! Nigel cooked this amazing menu for us and our guests. The food was absolutely delicious and beautifully presented. He was charming and personable - while letting the food shine. He's highly recommended and we would certainly have him back to our home. Very professional. Arrived on time, was smart, polite and friendly. Set to work immediately and with minor instruction on how to use the hob/oven. The menu was excellent and the food better than described. All presented perfectly and served to us at the table. A full clear down and all the washing up done. I will be using Nigel again and again...... 5 stars! Fantastic evening - very impressed with Nigel and eho chef. The food was served with great presentation and a real chef's table experience as Nigel explained each dish to us as he served. The lamb was perfect and the extra braised lamb in a mini Shepherd's pie was a wonderful surprise! We will not hesitate to recommend. Thank you! What a treat to have eho chef's Nigel cook for us. I was worried I'd feel strange having a chef in my kitchen using all my stuff, but Nigel made us feel very comfortable and the food was delicious! It was a real treat to properly entertain our friends and leave Nigel to do all the hard work! I bought my parents a night with Nigel from Ehochef as aChristmas present. My parents haven’t stopped talking about how amazing the evening was, I hear about it at least 3 times a week; they were thrilled and both them and I would 100% recommend Eho chef to others.